It is so difficult to fit in blogging and revision, it may not look like it takes long but after writing, editing and taking pictures you've suddenly lost hours! I can't afford to do this, but I've got some time today to write about my nails. For the first time in about a month I've actually painted my nails, they were in such bad condition a had to give them a break so they would be less orange and broken. There were finally in good condition to start painting again! 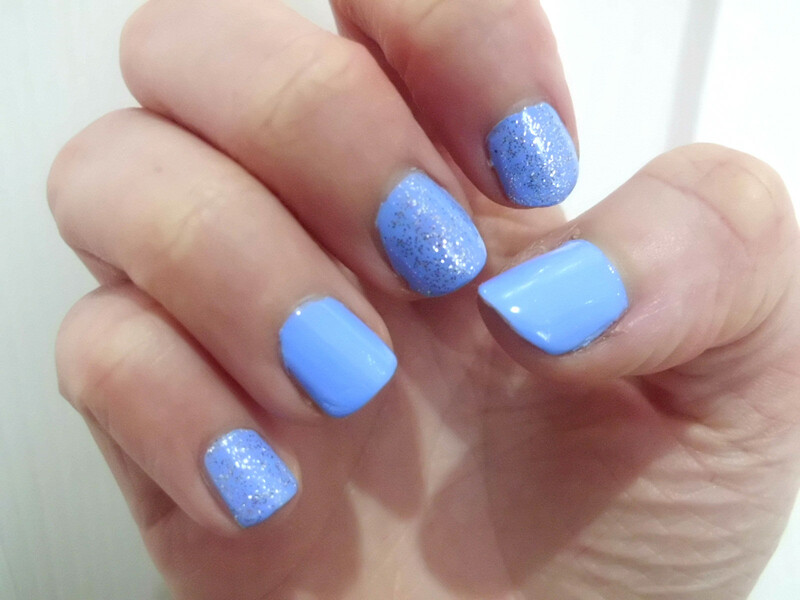 So I went for my favourite polish, BarryM hi-shine in Blueberry. I love these nails! 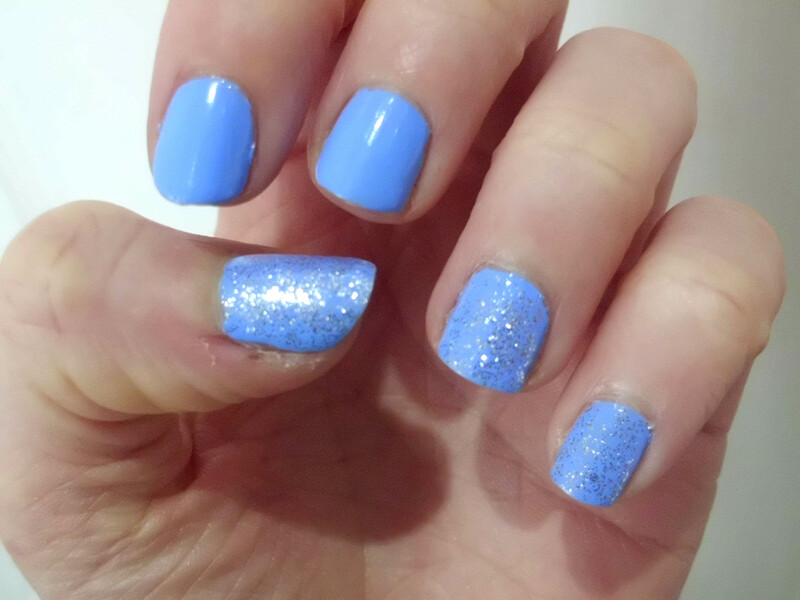 I really love the blueberry colour but I fancied something a but more so I decided to put on Silver Glitter by BarryM on a few random fingers and I think it looks really cool. 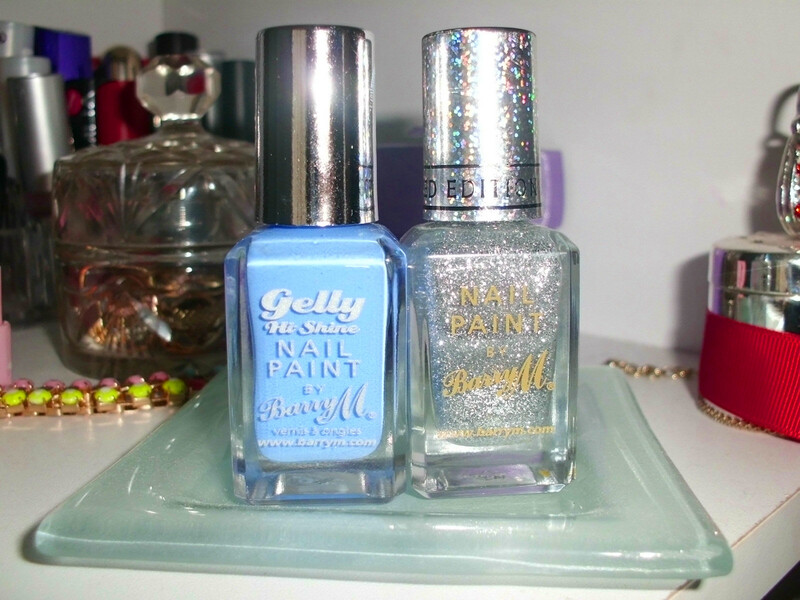 If only the sun was out then the glitter would really shine-but it's England people!- The Gelly Hi Shine formulas are just fantastic, probably my favourite nail polish ever! Sorry it's only a short post but I'm trying to use my time well here! Hope your all well, becciixx.